in the Southern Crescent area of Atlanta, Georgia, USA. 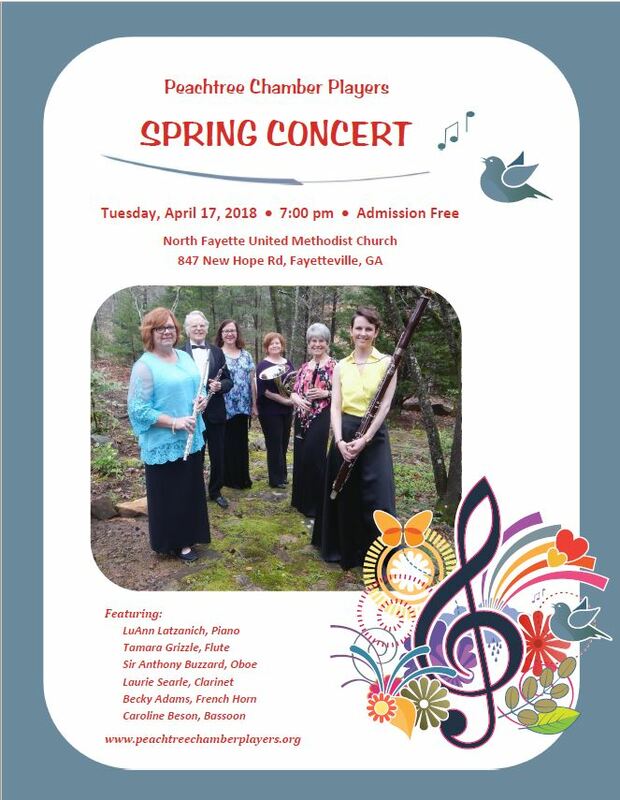 The Peachtree Chamber Players performed a free concert in the sanctuary of the North Fayette United Methodist Church, 847 New Hope Rd, Fayetteville, GA, on Tuesday, April 17th at 7:00 p.m. If you missed our concert, check out the program, photo album, audio recording (better quality) and live streamming.